It’s all about growth. Yours. How did we become the region’s largest independent seed company in just 20 years? By focusing on your growth, not ours. That takes a relentless push for innovation and technology. That takes a rigorous testing program of more than 20,000 plots. And, above all, that takes a passionate team of agronomists committed to do everything we can to help you STAND TALL. 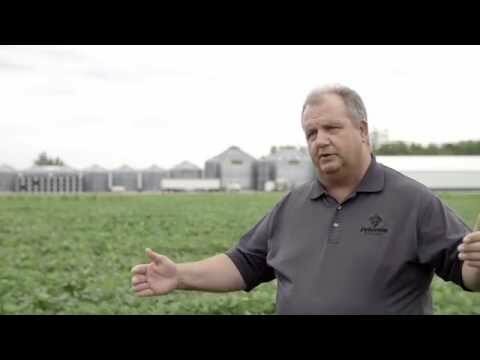 Carl Peterson talks about the Peterson Farms Seed difference. Enlist E3™ soybeans now available and fully approved! Peterson Farms Seed is leading the way in bringing Enlist E3™ soybeans to area farmers for 2019 planting. Peterson Farms Seed has 11 new Enlist E3 soybean varieties this season, each selected and tested to perform in North Dakota, South Dakota and Minnesota. "Peterson Farms Seed LibertyLink soybeans performed awesome on our farm. We saw great weed control in our troublesome fields this summer and excellent yields this fall. We will be buying more Peterson soybeans."